Mohammad Abu Khdair, the Palestinian teenager found dead in Jerusalem this week, was burned alive, first post mortem examination findings quoted by the Palestinian attorney-general say. “The direct cause of death was burns as a result of fire,” Mohammed al-A’wewy was quoted as saying. 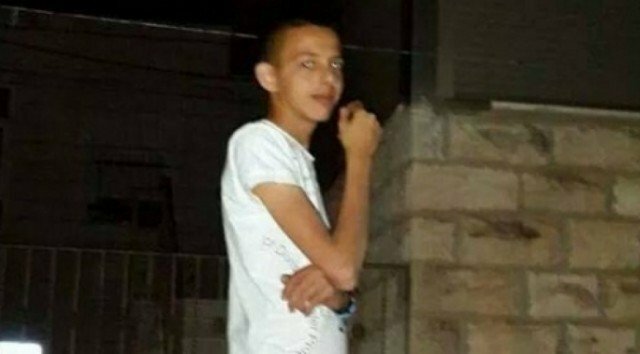 Israeli authorities say the circumstances surrounding the death of Mohammad Abu Khdair, 16, are unclear. The teen’s death followed the abduction and murder of three young Israelis, with violent clashes spreading overnight. The post mortem examination on Mohammad Abu Khdair was carried out by Israeli doctors, with Saber al-Aloul, the director of the Palestinian forensic institute, in attendance. The Palestinian official news agency Wafa quoted the attorney-general as saying that Saber al-Aloul had reported fire dust in the respiratory canal, meaning the victim had “inhaled this material while he was burnt alive”. Mohammad Abu Khdair, who had also suffered a head injury, had burns to 90% of the body, it was reported. The findings have not been officially released. Mohammad Abu Khdair’s family believes he was killed in revenge for the murders of the three Israeli teenagers. The bodies of Naftali Frenkel and Gilad Shaar, both aged 16, and 19-year-old Eyal Yifrach were found on June 30. Their funerals were held on Wednesday. The clashes continued overnight in the West Bank and spread to Israeli-Arab towns in northern Israel. Israeli police spokeswoman Luba Samri said protesters burned tyres and hurled rocks. Disturbances were reported in Taibe and Tira. Police responded with tear gas and stun grenades and more than 20 people were arrested. Clashes were also reported in the central town of Qalansawe overnight, with Jewish drivers attacked and some cars torched. Haaretz reported that some 50 Palestinians and 13 policemen were hurt in clashes, which it said had spread to all of East Jerusalem’s districts. Israeli officials handed the body of Mohammad Abu Khdair to his family on Friday morning.